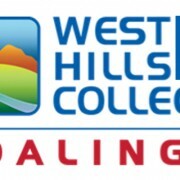 COALINGA – As students head back to West Hills College Coalinga for the beginning of the spring semester, they are joined by a new face – Robert Tucker, the new head football coach for the Falcons. Tucker joins WHCC from the University of Sioux Falls where he worked as assistant head coach for four seasons, defensive coordinator for one season and special teams coordinator and defensive backs coach from 2010-2012. Tucker brings university-level experience to the Falcons, having coached NCAA D1, NCAA D2 and NAIA levels over the past 17 years. His coaching background includes not only the University of Sioux Falls but the University of Colorado at Boulder, Boise State University, the University of Oregon and Willamette University, where he began his coaching career in 1997. To add to his experience, Tucker worked as a head coach overseas and recently worked as defensive coordinator for the French National Team. Notable players coached by Tucker during their college careers include Chris Carr (DB) of the Baltimore Ravens, Quintin Mikell (DB) of the St. Louis Rams and Kyle Wilson (PR/DB) of the New York Jets. While new to WHCC, Tucker is not new to the area. He actively recruited in the area for 10 years and began recruiting at area high schools 14 years ago. Tucker’s official start date was Jan. 13. Gritton, who stepped in to work as interim head football coach this past fall, has now resumed his duties as athletic director and associate dean of student services.